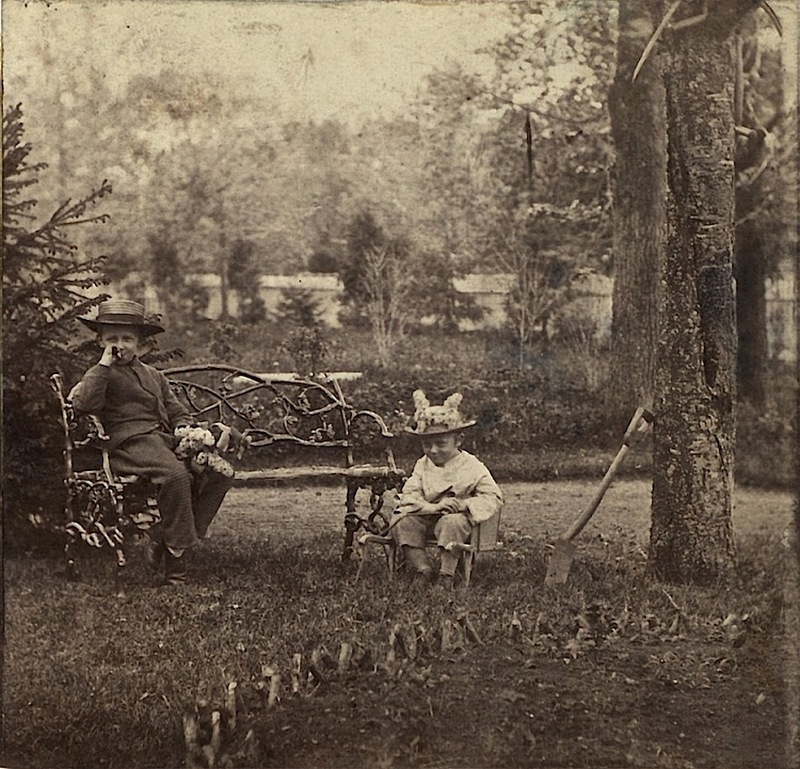 “Two boys sitting in a garden,” Orange, New Jersey, ca. 1860, cropped from a stereoscopic view, via Robert Dennis Collection of the New York Public Library. The boys look a little as if they were sharing a secret joke. They may have just been working in a garden plot of their own; there’s a cultivated space with a low rustic border on the lower right side. The boy on the right — with lilacs in his hat — is sitting in a small wheelbarrow, and there’s a child-size shovel or spade beside him. The other boy has a bunch of lilacs in his hand. The recollection of gardens of little children . . .